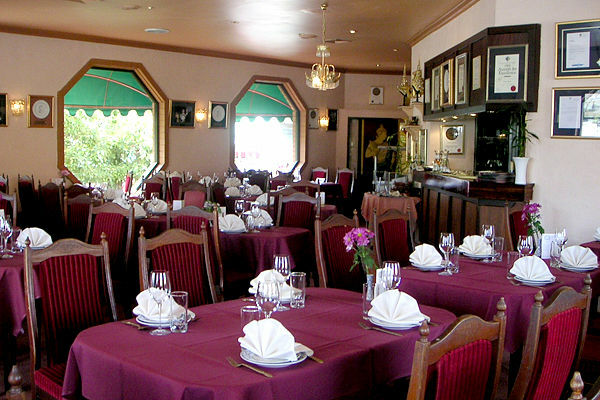 Winning the hearts of locals and judging panels with its fine authentic Thai cuisine and hospitality, Thai Corner restaurant boasts more awards and nominations than you can shake a bamboo stick at. You can't help but admire the myriad plates which don the walls of the restaurant, complemented by a fine array of traditional Thai ornaments, silks and paintings. But it's the plates of exquisitely flavoursome and fragrant MSG-free food that really impress here. Chef Lex Somketra lovingly recreates the traditional dishes of her homeland with skill and finesse - from the classic green curry, chicken in pindan leaves and sticky rice, to her signature deep-fried whole fish and own-made ice cream. Every second Sunday, for a small fee of $25 per person, she imparts a little of the wisdom she's amassed in a cooking class. Owner Jerry Kunakool could also teach you a thing or two about wines. He's sourced some of the finest Australian labels for his list and is always refreshing the menu.